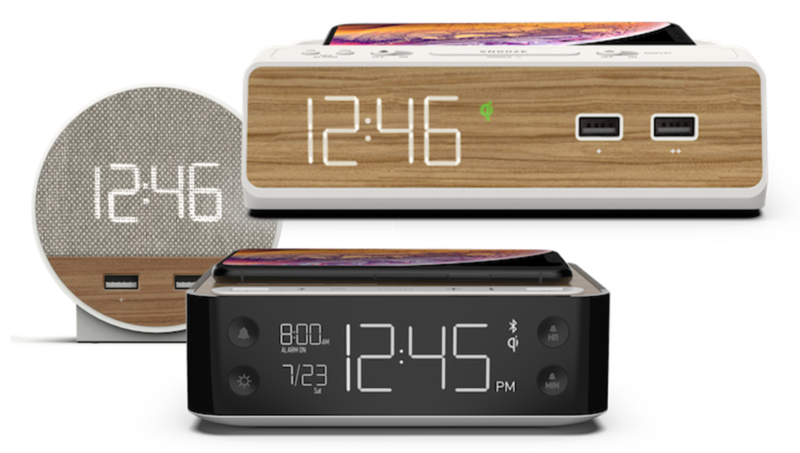 Station W is a hotel alarm clock / charging station for the modern guest. 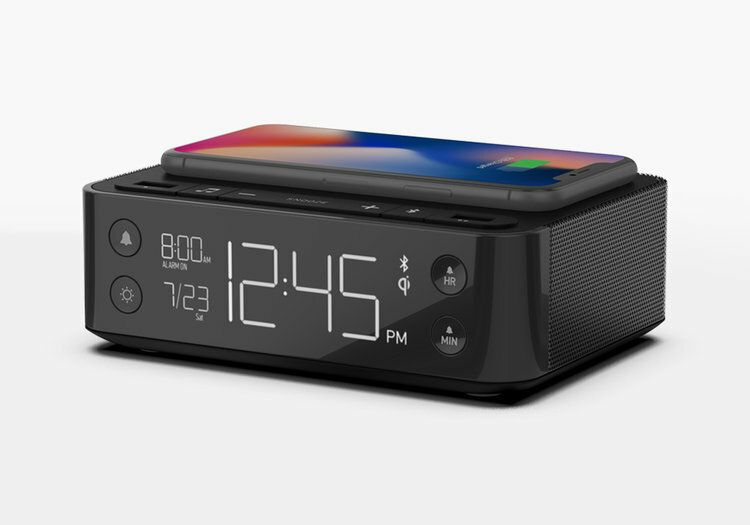 Upon entering the room guests will immediately notice the front facing USB ports and 10 W Qi wireless charging tray. Bright numbers keeping your guests up? Lightsleeper lets them turn the display off completely. Station W comes fully loaded with hotel friendly features in an innovative and modern design. Qi wireless and USB charging are featured together in a simple design. Station C is available in a range of cosmetic options including wood and marble laminates and fabric. Full 10W Qi fast charging with Qi certification ensures the fastest, most compatible and safest wireless charging with essential features like foreign object detection. USB ports include 2.4A fast charging with ports placed conspicuously on top for easy guest access. Unlike charging pads designed for consumer use, Station C is hotel ready with a tamperproof charging cable and security clamp. 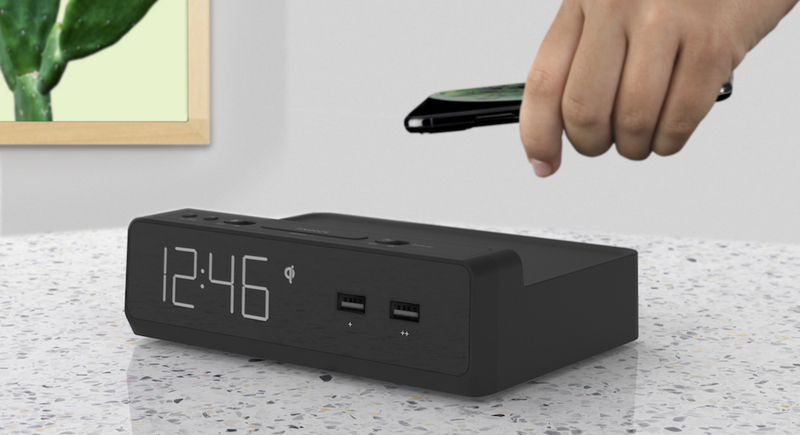 Station A includes all the basics you’d expect in an alarm clock/charging station, plus a Bluetooth Speaker. 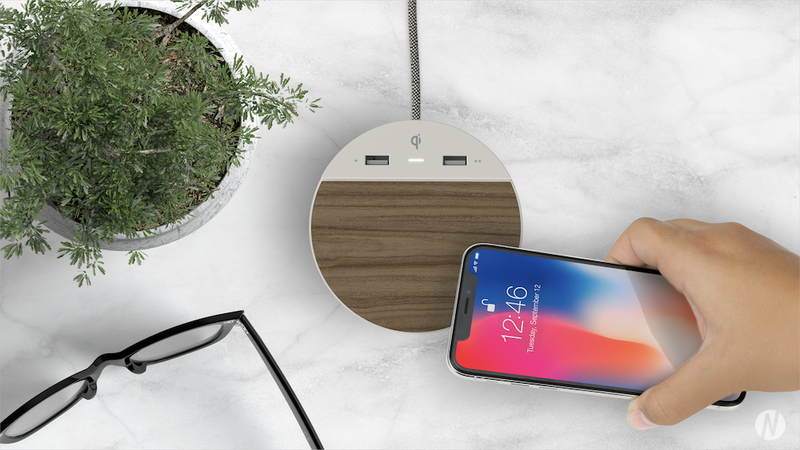 Guests will appreciate the 10W Qi wireless charging pad, fast charging dual USB ports, and stylish design. Packed with hotel-friendly features like a self-charging backup battery and auto-daylight savings time, Station A is perfect for hoteliers who want to offer guests something extra.